Posted on September 18, 2012 by Eric Bonnici wrote in Featured Steakhouse, Featured West Windsor Restaurants, Seafood, Steakhouse, West Windsor Restaurants. It has 0 Comment. 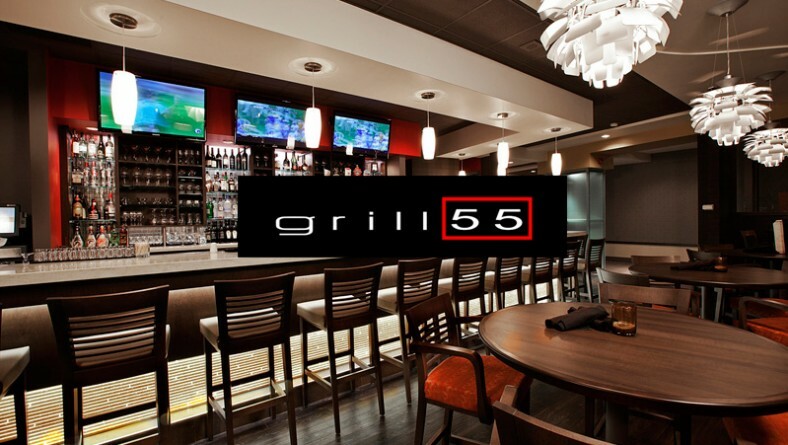 Grill 55 is the zen of casual fine dining in Windsor’s west side of town. Located in the Holiday Inn & Suites the culinary team create classic fare combined with innovative twists to bring you the ultimate specialty menu. The wonderful hosts and servers ensure guests enjoy a magical experience in their modernistic and stylish dining room. This chic restaurant offers lots of fresh locally sourced ingredients like Ontario beef, pork, lamb, and produce. In addition, care is used to select fresh seafood. The menu also boasts some of the best-loved fresh pasta dishes in the city. Freshly baked artisan bread right in the kitchen clearly demonstrates their passion for serving quality and local foods. 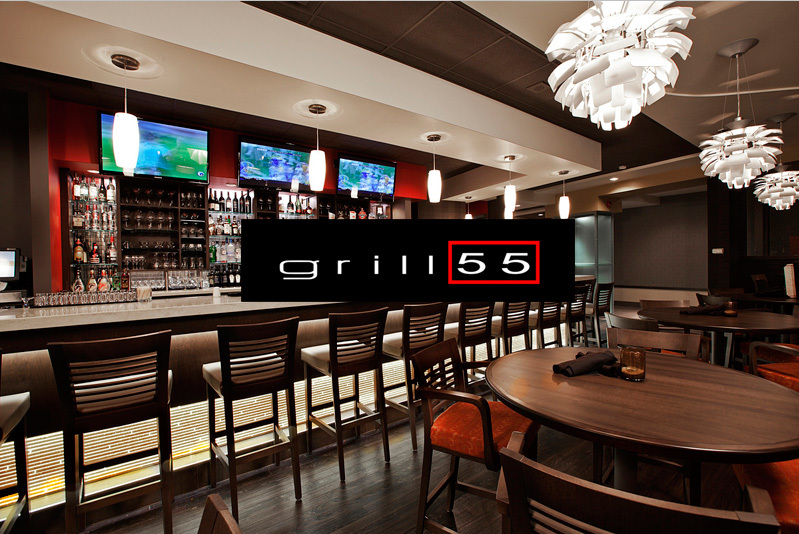 The team at Grill 55 are truly skilled at delivering the ultimate grande cuisine experience of meticulously prepared food, scrumptious taste, and careful presentation. In addition, space is available in the private dining room, numerous banquet rooms, and the newly renovated Ambassador Ballroom (250 person capacity). Perfect to hold special functions, business meetings, and events. Full catering services are also available too. This lounge restaurant regularly hosts special events like wine tastings, scotch tastings, beer tastings, and wine and cheese nights in their private dining room. These trendy events are popular because impressed guests can’t help but spread the world about their exquisite culinary experiences. Grill 55 is the perfect place to relax in cozy urban decor and savour a delicious meal with family, business associates, or friends.